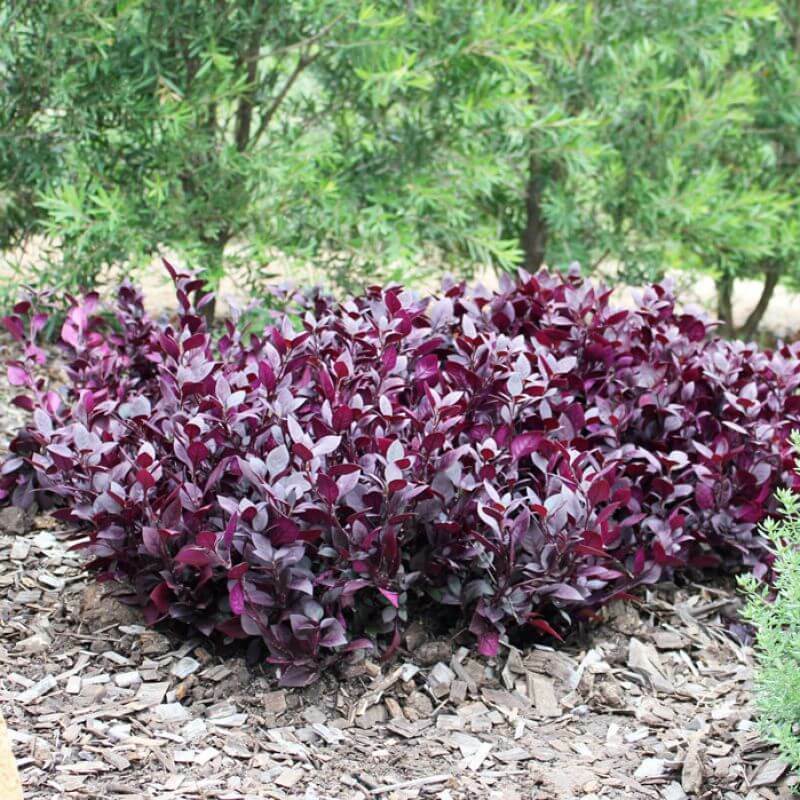 Little Ruby™ is a compact mounding foliage plant with deep burgundy foliage ideal for adding a splash of colour to the garden. It makes an ideal garden border plant and is great for rockeries and can even be pruned to form a low compact hedge. 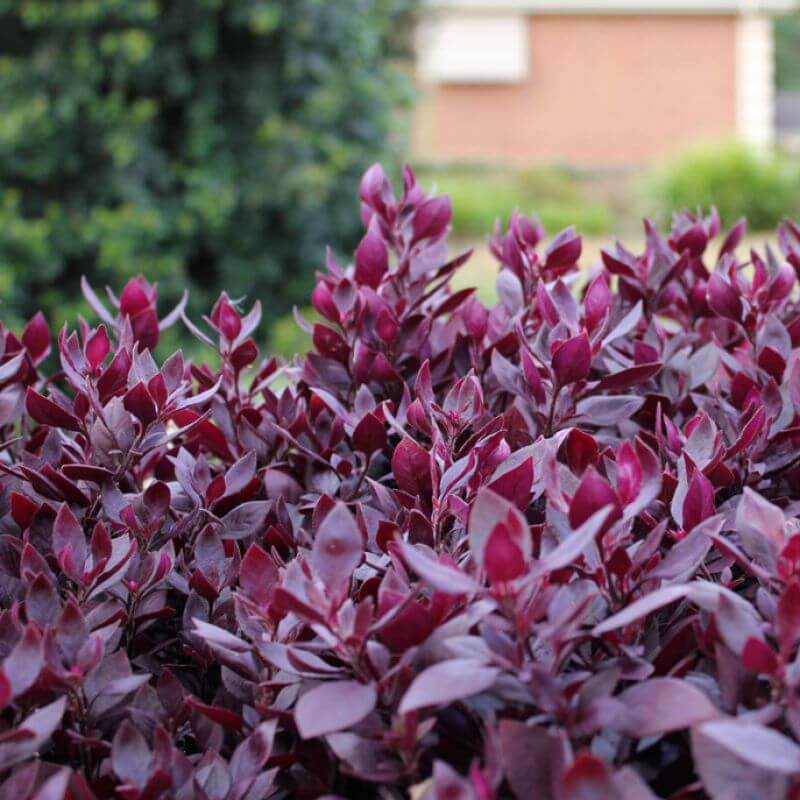 Little Ruby is best suited to warm climates and is ideal for humid coastal gardens. Little Ruby™ Alternanthera dentata ‘LRU30’, is a compact form of Alternanthera and is approximately a third the height of the common form. While it is suited to warmer climates it will grow in areas prone to light winter frost provided it is given protection, or plant in a sheltered micro-climate. 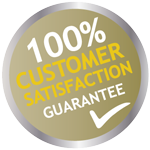 During very hot dry weather some watering will help it remain lush and looking great. In all climates it will benefit from being cut back at the end of winter well after the last frost to encourage fresh spring growth. It has small whitish flowers, (they are not a strong feature of the plant). Trim the foliage when young to encourage multiple branching of the stems, this will help the plant remain compact.